New Planet Beer fans have been reaching out and asking, “when will we get to try the new Off Grid Pale Ale?” So, here is an update to keep you in the loop. Our effort to develop a great tasting Pale Ale is still ongoing, but we’re getting close! We have been running test batches since June and we’ve been sourcing our ingredients to get ready for production. We’re running a few more test batches in October and we sincerely hope to launch before the year ends. Off Grid Pale Ale is an American style pale ale with about 35 IBU’s and 3-4 varieties of hops. We have not finalized the hops recipe, but we’re confident that with a few more tweaks we’ll have it just right. One thing I can tell you is that if you like bitter and aromatic hops, this beer is for you. It may not have the malty quality of most traditional pales, but for a 100% gluten-free beer, it will be close to the real deal. The hardest part of making a fuller bodied gluten-free beer is increasing the body in a natural way – no artificial foam and creamy producing chemicals in our beer! The color is mid-range and is achieved by bringing in molasses and caramel color. The aroma is Cascade hops and the ABV is north of 5%. Please stay tuned and soon we can cheer the New Year with an Off Grid Pale Ale. A portion of the proceeds from this beer will go to a non-profit organization that promotes alternative energy in Colorado. The buzz words “gluten-free” seem to be everywhere these days; but nowhere is gluten-free more prevalent than on the Internet. When I was first diagnosed with Celiac Disease in the 1980s, there was no Internet. The research my family did was mostly with doctors, by word-of-mouth, or from the rare book we found in bookstores and libraries. Today, you can type “gluten-free” into any search engine and literally get millions of results for your search. This explosion of information about gluten-free diets, Celiac Disease, and more is amazing but you should explore these online resources wisely. A newbie to gluten-free living might be a overwhelmed with all of the gluten-free information coming at them through the Internet so there are a few key places you could focus your search. National Organizations. Organizations such as the Gluten Intolerance Group, Celiac Disease Foundation, Celiac Sprue Association, and National Foundation of Celiac Awareness all have websites with a wide variety of information. These websites include information about Celiac Disease, the gluten-free diet, local chapters, and how to join their support groups. This is a good starting place for those brand new to Celiac Disease. Support Groups. Many people with gluten-free needs often look to others for support. Try typing in your city name and “gluten-free support” or “celiac support” into your favorite search engine. Another amazing resource for finding groups near you is Meetup.com. As of today, there are 50 worldwide groups of people who all have interests in gluten-free living and Celiac Disease. All of these Meetup groups usually meet on a regular basis in person, as well as having very active online message boards. Online Social Networks. The most popular of online social networks is obviously Facebook. Users can “like” groups that focus on gluten-free products, national organizations, and even find new friends that also list Celiac Disease as one of their interests. Two other online social networks that focuses on connecting people include Gluten-Free Faces, Gluten-Free Friends, and Gling. Blogs. Gluten-free and Celiac Disease blogs are great sources of personal experience and information. Many of these blogs were started by people such as yourself looking for information about gluten-free living. The variety of blogs are endless. There are blogs written by gluten-free parents, athletes, foodies, newbies, health care professionals, and so on. 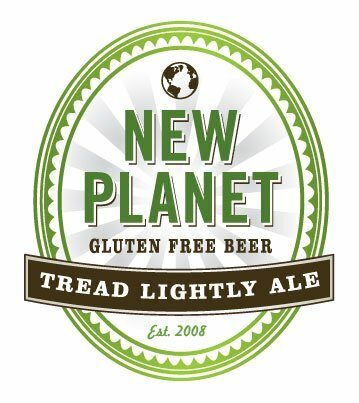 Even now, you are on the gluten-free blog written by New Planet Beer! Blogs are really great first-hand accounts of living with Celiac Disease and being on a gluten-free diet. You can also find tons of recipes on gluten-free blogs. With the number of blogs out there, I recommend subscribing to blogs using an RSS reader which will consolidate your favorite blogs into one comprehensive list. Twitter. Twitter seems to be an endless source of gluten-free mentions. If you search #glutenfree, #gf, or #celiac, you will come up with hundreds of tweets each day. The tweets will usually have a URL that will bring you to a blog or articles online about the tagged information. You can get lost clicking from link to link and person to person in Twitter but you can also find tons of great information you might otherwise not find. The above list is really just a starting place for anyone looking to explore more about Celiac Disease and gluten-free living online. Search engines alone can lead you down a long path of gluten-free reading topics. Please remember to use caution when following any advice you find online. Always check with your doctor before introducing new foods into your diet. In addition, although the internet can be a great resource for those who suspect they might have Celiac Disease it is ALWAYS important for you to discuss your questions with a medical professional before declaring yourself gluten-free. I am still sore and tired. It’s been several days since the New Planet Beer team restored about 700 feet of open space trail in the Bettasso Preserve in western Boulder County. The one day event was orchestrated by the Wildlands Restoration Volunteers with the help of Boulder County Open Space. The New Planet Beer team was one of four teams restoring social trails which had been overused and eroded by mountain bikers. Our goal was to reclaim and to set it back into wild lands. A new more sustainable mountain bike trail was built last summer with the help of the Bikers Alliance to replace the restored trails. Everybody wins on these partnerships including the animals that got displaced from the adjacent lands burned by the Four Mile Creek fire. Bringing restoration helps the ecosystem blossom and participating in this effort was very rewarding. The team hiked in about 30 minutes to the beginning restoration point and we worked back towards the trailhead. Restoring trails is a four-step process: 1) tilling the land 2) seeding 3) mulching and branching, and 4) creating water retention and diversion. We had a team of six folks with two tilling, one seeding, two mulching and branching, and one developing water rock dams. Every so often we had to team up to tackle a bigger project like placing erosion protection carpets in steep areas. But overall each person picked the tasks they enjoyed most. We were joined by Boulder County Open Space rangers who worked side-by-side with us. We took a couple of breaks throughout the day but for the most part we were restoring. Hiking out was very rewarding and celebrating at dinner with all the volunteers was very rewarding. Everyone enjoyed cold New Planet Beers. I am looking forward to next year’s project. Stay tuned as we select a project near you. New Planet Beer Wins Bronze Medal in the Gluten-Free Division at the 2010 Great American Beer Festival. BOULDER, Colo. (September 22, 2010) – Boulder-based beer company, New Planet Beer won a bronze medal in the gluten-free division at the Great American Beer Festival (GABF). The bronze medal was awarded to their 3R Raspberry Ale, a fruity twist on another fan favorite, Tread Lightly Ale. “This is a real honor to be awarded a bronze medal as we pride ourselves on being a trusted gluten-free beer. This award only amplifies our commitment of providing the best tasting, certified gluten-free beer to our customers,” said Pedro Gonzales, New Planet Beer Company’s CEO. 3R Raspberry Ale launched in July of 2010 as a well-balanced ale beer made from fermented sorghum and corn, natural raspberry puree, orange peel, hops, and yeast. Not overly sweet, the Oregon grown fruit puree creates a beautiful body color with a natural raspberry flavor. The beer has 160 calories and is 5% ABV. The suggested retail price for the 22 oz bomber style bottle is $5.99. Reduce, Reuse, and Recycle – the 3Rs of waste reduction education are what make up the 3R’s of the 3R Raspberry Ale. As part of New Planet Beer’s mission to do good things for the planet, they will donate a portion of proceeds from the sale of 3R Raspberry Ale to non-profit organizations in Colorado who are promoting the Reduce, Reuse, and Recycle educational philosophy. The Great American Beer Festival remains the largest commercial beer competition in the world with 3,523 beers vying for medals (compared to 3,308 entries in 2009). New Planet Beer competed against 13 other gluten-free beers, including Celia Pale Ale by The Alchemist and Gluten Free by Deschutes Brewery, which took the top two honors. New Planet Beer was established in 2008 with a mission is to help everyone to celebrate life with a great tasting beer and to help do great things for the planet. Their certified gluten-free beers are locally crafted by brewers who bring New Planet Beer the great quality and flavor found only in small batches. The company is Colorado-based, family and friends owned and operated and they donate a portion of their proceeds to ecosystem conservation. Future releases of different beer styles, all certified gluten-free, are under development. New Planet Beer is distributed throughout Colorado by Republic National Distributing Company (RNDC). RNDC is one of the largest distributors of premium wine, spirits and beer in the United States with operations in Colorado and 21 other states. Tailgating is one of the quintessential components of seeing a football game. I love the camaraderie of all the people being excited for the same event. Being a gluten-free eater, I always seek simple ideas for tailgating and entertaining, because, let’s face it, navigating gluten-free in a sea of gluten can be complicated. Here are some of my go-to entertaining recipes that are crowd pleasers for all. All of these can be made in advance. Directions: If you have a grill going, it is a nice touch to char the jalapeno. This adds a nice dimension to the guacamole. Put all of the ingredients in a bowl, or a molcajete if you have one, mash together with a fork. You can also make this in advance, and place the avocado seeds in the guacamole after you have mixed it. This keeps the guacamole from browning while it waits for the party. Can be served with corn chips, carrot chips, and a New Planet Treading Lightly Ale. These 2 appetizers are always a hit, and a perfect match with New Planet’s 3R Raspberry Ale. Caprese: What you will need: toothpicks, cherub tomatoes, fresh basil, small mozzerella [cinigilli], finish with olive oil, salt and pepper at the tailgate. Directions: All you have to do is stack the ingredients on a toothpick, a great finger food. Prosciutto Fontina Pizza: What you will need: The Gluten Free Bistro’s Gourmet Pizza Crust, prosciutto, fontina cheese, arugula, juice of 1 lemon, olive oil. This recipe is an interpretation of one of my favorite pizzas served at Radda Trattoria, Boulder, CO.
Peppered Turkey with Baby Swiss Panini: What you will need: The Gluten Free Bistro’s Gourmet Pizza Crust, peppered thinly sliced turkey, baby swiss, pepperdews, banana peppers, mustard. Place panini in pan and press until the cheese is melted. This recipe you can prepare a couple of weeks in advance and place the dough in the freezer [see slice and bake instructions]. Slice and bake the cookies the day of for fresh cookies. Directions: PREHEAT oven to 350° F.
COMBINE flour, baking soda, water, and salt in small bowl. Beat butter, granulated sugar, brown sugar and vanilla extract in large mixer bowl until creamy. Add eggs, one at a time, beating well after each addition. Gradually beat in flour mixture. Stir in morsels and nuts. Drop by rounded tablespoon onto ungreased baking sheets. BAKE for 15 minutes or until golden brown. Cool on baking sheets for 2 minutes; remove to wire racks to cool completely. SLICE AND BAKE COOKIE VARIATION: PREPARE dough as above. Divide in half; wrap in waxed paper. Refrigerate for 1 hour or until firm. Shape each half into 15-inch log; wrap in wax paper. Refrigerate for 30 minutes. * Preheat oven to 350° F. Cut into 1/2-inch-thick slices; place on ungreased baking sheets. Bake for 15 minutes or until golden brown. Cool on baking sheets for 2 minutes; remove to wire racks to cool completely. Makes about 5 dozen cookies. *May be stored in refrigerator for up to 1 week or in freezer for up to 8 weeks. Join the New Planet Beer team on October 2nd for a full day of work restoring a trail in the foothills of Boulder County. Afterward celebrate with free food and New Planet’s Gluten-free Beer. Part of New Planet Beer’s mission is to “do good things for the planet”. Each of our beer labels has a name that invokes an action we can take to help our planet. The 2010 recipient of Tread Lightly Ale’s proceeds is Wildlands Restoration Volunteers (WRV). New Planet Beer, as a Corporate Sponsor, has specified the funds go to support the restoration of the popular Betasso Preserve west of Boulder. The New Planet Beer team will be joining 80 other WRV volunteers to revegetate a mile of unsustainable social trails on Boulder County Parks and Open Space’s recently purchased Benjamin property. This 391 acre parcel is adjacent to the extremely popular Betasso Preserve Open Space, and jointly they protect 1175 acres of important wildlife habitat in the lower montane life zone. In 2009, WRV volunteers revegetated over a mile of social trails on the property. Working in partnership again this year with the Boulder Mountainbike Alliance, another mile of the most eroded, unsustainable, and hazardous of the social trails will be revegetated. In conjunction with restoration efforts, the construction of a new multi-use trail will move users away from the sensitive wildlife areas within the preserve. The new trail combined with existing trails will provide hikers, mountain bikers, trail runners and equestrians with opportunities to access approx. 8.7 miles of secluded, varied and rugged forest terrain within a 20 minute drive of Boulder while leaving much of the preserve untouched. You can expect a full day restoring habitat, reducing soil erosion, and sharing in the stewardship community while having fun in the mountains just west of Boulder. As a member of our team, we’ll give you a New Planet Beer t-shirt. This area is close to but not affected by the 4 Mile Canyon Wildfire area. To sign up select the link below and select the New Planet “group”. The New Planet Beer group is limited to 10 people so register now! 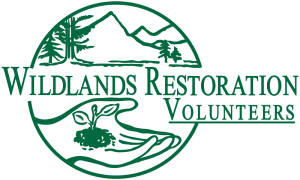 Wildlands Restoration Volunteers engages volunteers in very high-quality ecological restoration projects in areas of great ecological significance. In its ten-year history, Wildlands Restoration Volunteers has completed 200 restoration projects including road closures, wetland revegetation and invasive species control while involving more than 30,000 volunteer hours. Not only does Wildlands Restoration Volunteers do spectacularly effective ecological restoration. It also designs and conducts projects so that the volunteers fall in love with restoration and have a life-changing experience. This year, New Planet Beer was able to attend the Denver Summer Brew Fest that benefited Swallow Hill Music Association. Swallow Hill serves a large community with instruction and performance of musical art forms such as folk, blues, bluegrass, Celtic, jazz, world, roots, and dance while focusing on preserving cultural roots and heritage in music. On July 23rd , the festival was held at the Mile High Station with over 35 plus craft breweries, 90 plus brews, and live music to satisfy over 1200 people. From brew festivals to wedding receptions, Mile High Station’s beautiful venue works for any event. At the event, the New Planet Beer Booth featured two beers, our Tread Lightly Ale and our 3R Raspberry Ale. Festival attendees were excited to learn about New Planet Beer, as well as sample both of our beers. If you did not get a chance to make it to the Denver Brew Fest, keep an eye out for future New Planet events on our events page. We look forward to seeing you soon! See how David Roche, a competitive triathlete, discovered his intolerance to gluten, maintained his competitive edge and celebrated with New Planet Beer. It was Christmas. Or, if not the 25th, it was around that time in late December when walking into a department store would lead to post-traumatic stress disorder if anyone ever had a bad experience with silver bells. There was a 10km race that morning–I don’t remember the details anymore. Anyway, I was fortunate enough to win–but what happened next is why that day changed my life. Stomach pains became progressively worse until, incapacitated by pain, a friend took me to the hospital. Three months later, I was getting weaker every day. After the Christmas Celiac diagnosis, my weight was dropping rapidly—and not in a good, yellow polka-dot bikini type of way. No, it was getting to the point that the slightest gust of wind had me doing impressions of the cow in Twister. At the first race back, I had nothing–no strength, no motivation, no energy. So I DNF’d. I always say life is amazing, but those three months made me question that. I was withering away, physically and mentally. That was the spring of my junior year at college in New York City. The education was worth a bit of suffering, but I hated Manhattan. It was so impersonal. Why did no one ever smile!? With the big-city resentment fresh on my mind, and still struggling after learning I needed to be gluten-free, I traveled out to Boulder for research that summer. Stepping foot in Colorado for the first time, it was as if a light bulb suddenly illuminated. Everything changed. The people were uniquely awesome; the environment was a priority; and gluten-free was a healthy lifestyle choice embraced by the community. 1. Nuts and fruit provide great energy that you can munch on all day. 2. Don’t shy away from healthy carbs. Before workouts, cereal like Nature’s Path Peanut Butter Panda Puffs or Mesa Sunrise provide delicious energy. Multiple Ironman winners have a pre-race meal of gluten-free cereal. At the same time, reward yourself with potato chips, or chocolate. What about beer? That’s a good reward, right? Because New Planet Beer is probably the most awesome drink I’ve ever had. They are an environmentally friendly company too, so I can justify a few more as part of my duty as an environmental scientist. 3. Protein and good fats should be the staples of your diet. Salmon, tuna, and free-range chicken are great; if you are a vegetarian, eggs are a great option, along with a whey protein supplement. Don’t shy away from olive oil, and cook for yourself! Make sweet-potato fries by tossing them with oil/spices. Make a delicious stir-fry with tons of veggies, rice, and eggs–add some flax for a nutty flavor. Moving on to law school this year, back on the east coast, it is clear how important the last 2 summers in Boulder were to me as a person. I learned how to be a successful gluten-free athlete, sure, but meeting amazing friends over a few New Planet Beers was even more meaningful. Now, I know that I want to use my education to make a positive difference in the future of the natural world. Hopefully I can go back to Boulder for good at some point, but either way, I owe everything to my time on the trails, in the lab, and yes, in the bars, of Colorado. https://www.newplanetbeer.com/wp-content/uploads/2010/08/blog_new-planet.jpg 240 320 GFBeer https://www.newplanetbeer.com/wp-content/uploads/2016/01/mobile-logo.png GFBeer2010-08-12 08:40:592011-01-05 14:21:25"A Whole New Planet"
My mission aside from celebrating life with a great gluten-free beer and doing good things for the planet is to instruct every restaurant server I ever meet about the meaning of life –a gluten-free life that is. Before I get going on with my tirade, I have to say that more and more servers are aware of gluten intolerance and allergies and really work hard to make sure that their customers are fed properly. Caveat out of the way. The majority of servers do not truly understand the havoc that gluten can cause on a person who is intolerant or allergenic to gluten. I guess for selfish reasons I want my dining out experience to be fun, nourishing, and healthy. Not a lot to ask considering I’m paying just like everybody else. Do you have any gluten free dishes? A server staring into space is never a good thing. My next step in the process is most likely to instruct them about gluten (you know the routine) and to inquire about the details of the menu. I can make it easy on myself and the server and order a salad (with no croutons) and with olive oil and balsamic vinegar on the side or I can dig deep into the details of their offerings to find a dish that fits. Since my goal is education I press on most of the time – I study the menu and quiz the server until we together reach agreement on a safe dish to order. By keeping the server engaged in the process I am able to educate them about which dishes are safe in their menu and so future gluten-free customers can have a better experience. Finally I get to enjoy the dining experience. Someday, us gluten-free educators will consistently walk into a restaurant and find gluten-free knowledgeable servers and clearly labeled menus. That day will come soon! Until then lets educate the servers.